Thank you for this post on Remembrance Day. Big Al was a great radio personality at the once great NW. This story adds to the respect that I had for his work at NW and today is appropriate for this story. My grandfather fought and survived WW1 . I have many memories of him and his endless story telling. Never did he ever talk about the war. All his stories were about life after the war. He couldnt completely hide his war activity from us as he lost one of his legs. He was hit from behind by a Canadian artillery shell . Apparently not uncommon in trench warfare. This story in today’s Province about Big Al is quite amazing. It showed a very different side of the legendary broadcaster, a guy whom so many of us grew up listening to. Big Al used to infuriate me at times when listening to him (I still recall his non-stop push for a new hockey arena on the PNE grounds, to replace the Coliseum), but some of his very noticeable quirks make a lot more sense after reading this. 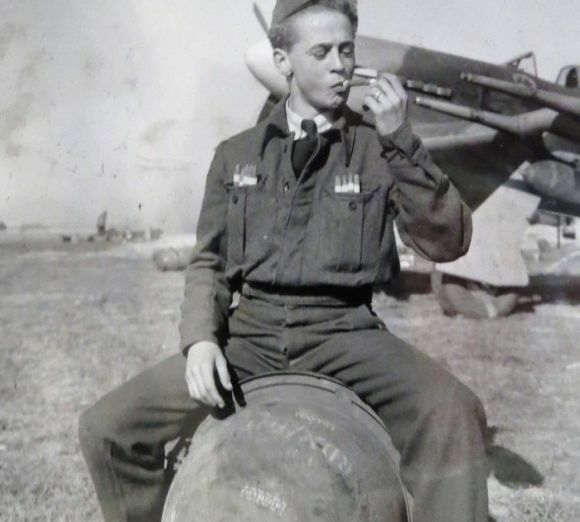 I learned a lot about the impact of the war on RCAF ground crews in this story. Al was one of the greatest generation, putting his life on the line for those of us who came behind. I salute him.